This award-winning documentary looks at one of the most amazing, yet overlooked, generals in the history of the world. 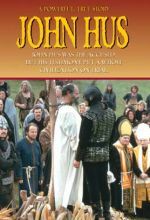 Jan Hus was betrayed by the Council of Constance and burned at the stake in 1415. His Bohemian countrymen, however, who became known as the "Hussites," were not ready to accept defeat. 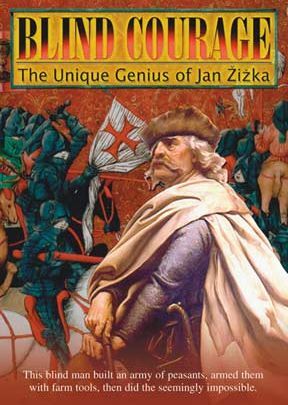 An amazing military genius, Jan Zizka (c. 1360-1424), emerged to lead them. He took a handful of peasants, outfitted them with farm implements, and defeated more than 100,000 of the finest knights in the world. He revived military techniques not used since the Romans and developed a forerunner of the modern tank. All of this despite the fact that, for most of this period, he was completely blind. This award-winning documentary looks at one of the most amazing, yet overlooked, generals in the history of the world. Fullscreen. Gold Special Jury Award Winner from Worldfest Flagstaff. Many Christians are acquainted with the name "Jan Hus." Hus was a Bohemian priest who preached the Bible, decried the corruption he saw in Catholicism, and played an important role in the Protestant Reformation. Fewer are familiar with the name "Jan Zizka." After Hus was burned at the stake for his faith and preaching, Zizka, a military genius, helped the followers of Hus who were not ready to accept defeat. Although blind, Zizka "took a handful of peasants outfitted them with farm implements, and defeated more than 100,000 of the finest knights in the world." The unusual story of Jan Zizka tells of God's protection in the face of persecution. Blind Courage will additionally appeal to those who are interested in military history and strategy. Many Christians are acquainted with the "Jan Hus." 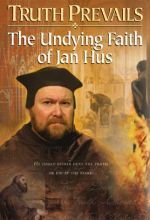 Hus was a Bohemian priest who preached the Bible, decried the corruption he saw in Catholicism, and played an important role in the Protestant Reformation. Fewer are familiar with the name "Jan Zizka." After Hus was burned at the stake for his faith and preaching, Zizka, a military genius, helped the follower of Hus who were not ready to accept defeat. Although blind, Zizka "took a handful of peasants, outfitted them with farm implements, and defeated more than 100,000 of the finest knights in the world." The unusual story of Jan Zizka tells of God's protection in the face of persecution. Blind Courage will additionally appeal to those who are interested in military history and strategy.